Increase website traffic, leads and sales with our bespoke local SEO services. Sorry, your browser does not support this type of video. In order for a website to generate new business, customers need to be able to find it when they search online for the products and services the company provides. Studies show that about 96% of internet traffic goes to the top 10 websites in the search engine results pages. As a result, if your site isn’t on page 1, it’s highly unlikely to receive any visitors from people who don’t already know about you. This is where we can help as we can optimise your site to maximise its visibility in the search engines. We will research the most profitable keywords for you to use and incorporate them into your website content in a way that sounds natural to readers while also helping search engines to understand what the site is about. Our aim is not solely to increase your site’s rankings, however, as being at the top of Google is of no use if the website doesn’t convert visitors into leads or customers. This is why we focus just as much on creating a better user experience by fixing any technical issues with the site and improving the layout and content. By focusing on making website visitors happy, the site’s conversion rate will improve, your business will make more money and the increased user interaction will help to improve the site’s position in the organic search results. We offer both full-service SEO campaigns as well as individual components such as link building, creating structured data, keyword research, technical audits and content creation/editing. We also offer a website design service for anyone who doesn’t already have a site or whose existing site needs updating to make it mobile friendly. Our full-service packages include all of the individual SEO services and we implement them as necessary depending on what our research reveals to be the most effective way to improve your site’s rankings and your business’s ROI. We specialise in local SEO, which means that we concentrate on helping businesses that generate income from customers in their local area. If you have the kind of business where customers find you (or you’d like them to!) by using search terms that include your business type and your geographic area (“seo Nottingham”, for example) then we can help you improve your site’s search engine visibility and get it appearing in the map results. Our techniques include only those that are considered ethical by the search engines (white-hat methods) as we would never want to do anything that could jeopardise a client’s business. Because of this, results may take a little longer than could be achieved using black-hat methods but the results we achieve are sustainable. By working with the search engines rather than against them, we also find that clients’ websites are far less likely to be negatively affected by algorithm updates. The first step in deciding on an SEO strategy is generally for us to have a chat about your business, your goals and the current situation. 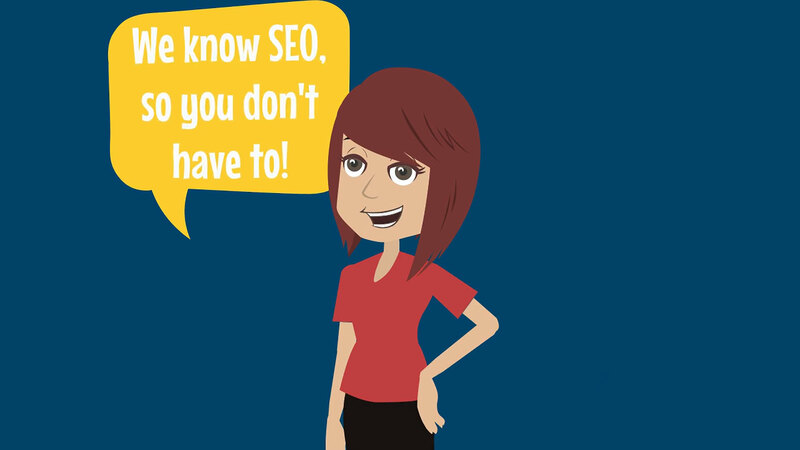 If we think we can help, we then usually recommend that we carry out an SEO audit on your website. This will highlight any technical issues as well as provide suggestions on improvements that can be made to the structure of the site as well as its usability and content. Once we have the results of the audit, we can either start work on your site or you can use the audit to implement the changes yourself (we offer training should you choose the DIY route). The next stage after carrying out all the improvements recommended by the audit is to start creating high-quality backlinks and new content for the website. These activities will help establish you as an expert in your business area and over time will increase both your search engine rankings and your profits. Depending on the industry your business operates in, we can either write the content for you or work with a copywriter of your choice to ensure the new content is optimised for all the relevant search terms and appeals to your target audience. We understand that businesses often don’t have a huge budget for advertising and marketing so we have priced our services to be as affordable as possible. We will do the same work as our more expensive competitors would but we can do it over a longer timeframe to help you to budget for it. Our minimum price is just £250 + VAT a month and for that we would put together a bespoke campaign of the strategies we believe would deliver the best results for your business and its search engine rankings. For clients with larger budgets, we do the same thing but do more of it, meaning that results are seen more quickly. Our belief is that search engine optimisation should be an investment rather than an expense, so everything we do is aimed at ensuring clients generate more money from their SEO than they spend on it. To monitor whether this is the case, we set up Google Analytics for each client and regularly assess and act on the data it provides. As part of our commitment to ensuring our SEO services generate a positive ROI, we always research potential clients’ markets to make sure there is enough demand for their products and services to justify spending money on an SEO campaign. If we believe the costs would outweigh the benefits we’ll let you know as we believe it would be unethical to take on clients we didn’t think we could generate a profit for. The effects of SEO work are never instant and it can take between 4 and 12 months for a website’s rankings to improve significantly. Despite this, we do not tie clients into contracts as we believe in offering people a choice. When we work with clients, we see ourselves as part of their team and we care about the success of each business as if it were our own. We find that by concentrating on our clients’ success, we can build positive long-term partnerships with them and this results in clients choosing to stay with us, making contracts unnecessary. Although we are based in Nottingham, we help companies all over the UK and would be more than happy to come and meet you to learn about your business and put a plan together to help you achieve your business goals. So whether you’re a plumber in Plymouth or a dentist in Dundee, contact us today to see how we could help.